My long time friend and fellow blogger Pimla’s Ponderings has started a series on her work spinning from natural fibers and plying. More to follow. Check out her work! 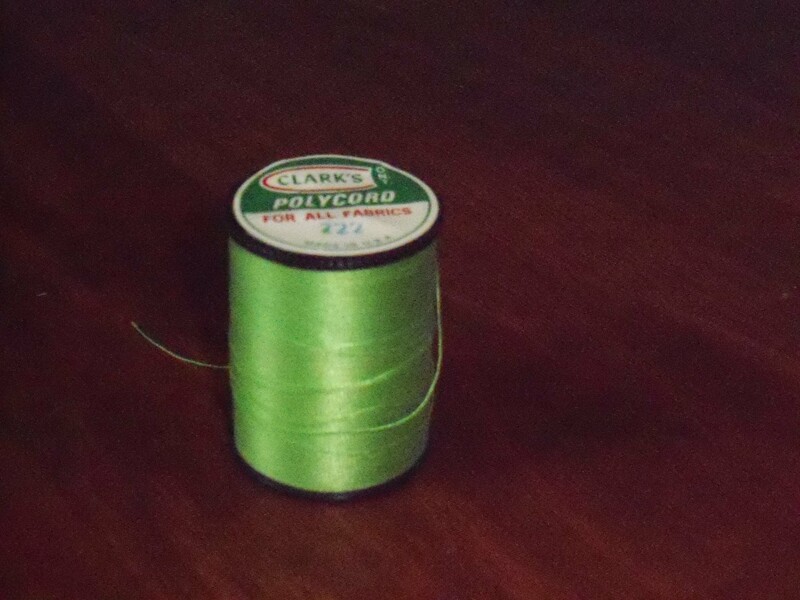 My story: I realized I had three spools of this green thread and from the label I must have had it for a long time. Why? Why? Why? I purchased supplies in 1980 for a Junior Achievement project to make the fabric draft stoppers that go by door frames. Apparently, green was not a popular color. I proceeded to use the thread for my current project Days for Girls International. The thread worked well! In this age of short self lives and quick obsolescence, it is amazing that 34-year-old thread can work well with a 2010 sewing machine. Certainly no other products from electronics, photography, most automotive, most building materials, most appliances, writing instruments…well now a good old-fashioned pencil will work. 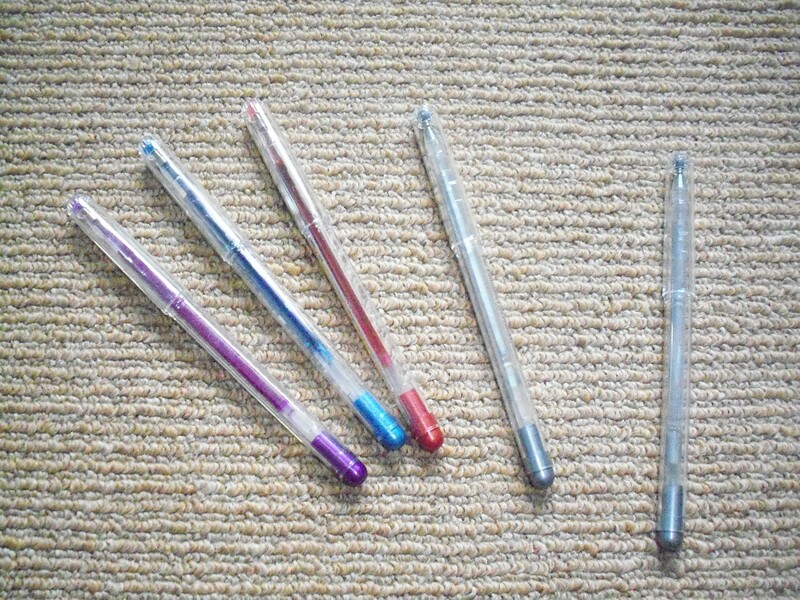 These gel pens do not work.